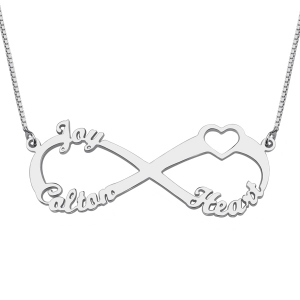 Mother Day Gifts - Heart Infinity Necklaces 3 Names - Infinity HEART Necklace Personalized Jewelry Sterling Silver 1 to 3 Names Pendant Charm Mother Day Gift Christmas Gift Anniversary. 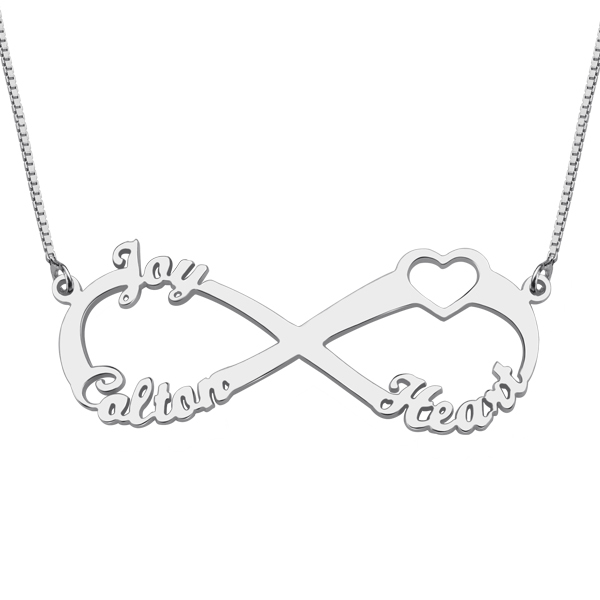 Simple, delicate and beautiful...Both sentimental and sweet, the perfect way to represent sisters, couples, children's initials, and a great gift for Mom or Grandma. 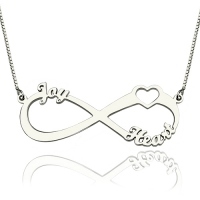 The perfect everyday necklace, and a great gift for all ages!This necklace is custom designed for you. 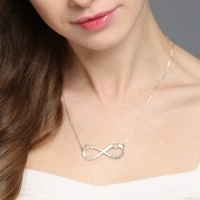 This infinity necklace look it's simple, but it has a lot of meaning about friendship, love. 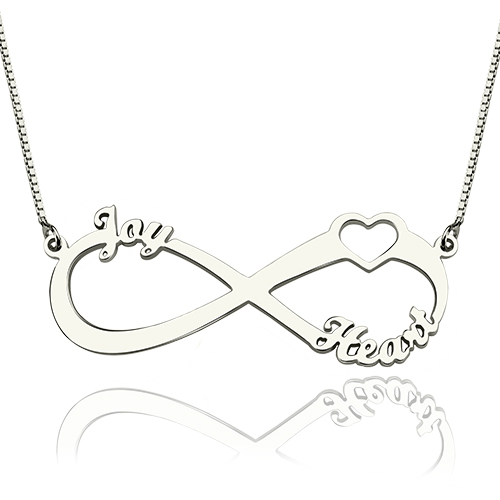 Symbol of a promise eternal, forever, with no boundaries and infinite.So whether you are looking for a personal and stylish piece of jewelry or a special gift, this necklace is the ideal item to buy.